E3 Gave Us a Lot of Final Fantasy, But no Final Fantasy XV – Is It Time to Start Worrying? Square Enix show up for the first time with a press conference this E3, and they had a bag of goodies with them. Among everything shown at the press conference were many different Final Fantasy titles, the franchise which made and built the company. The biggest reveal of them all had to be a true remake of Final Fantasy VII. Whether the remake stands a chance of reaching the same greatness as the original, is something for another time. Which also would include questions on how different the gameplay would have to be to include the new audience and still keep the old fans. Aside from the remake, they also announced that the re-release of the FF VII we have on PC for PS4 will be delayed until Christmas, but will see its IOS release this summer instead. 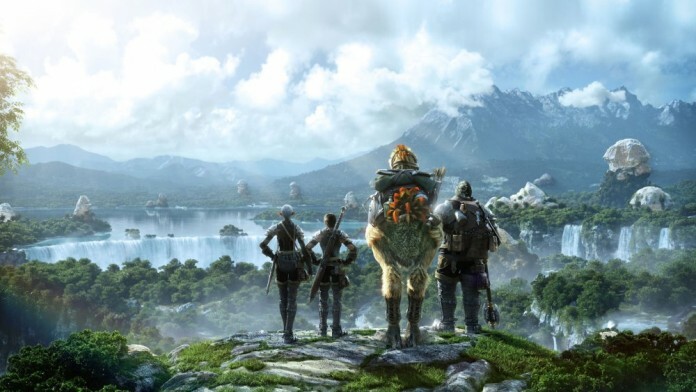 We also got a new glimpse at Final Fantasy XIV Heavensward with a launch trailer for their first expansion to their newest MMORPG, which still is going pretty strong. Seeing how the game is released in a couple of days on the 23 June, which seemed like the wrong place to show something everyone who wants to see has already seen. To top this of, Square Enix also gave us a preview on a completely new title: World of Final Fantasy. At first glance it didn’t look like a full priced title or maybe even a mobile title. But after learning more about this charming, colorful game where you play as small bobblehead characters with the ability to ride monsters. We learnt that it is a game focusing on the group of people wanting to play Final Fantasy, but for various reasons find the gameplay discouraging or the world a little too dark and gloomy. It is a Final Fantasy for everyone, and especially families and the younger ones. But among all these Final Fantasy reveals and trailers, there was one missing, the one many gamers all over the world had hoped to both see more from but also get a release date on: Final Fantasy XV. Seeing on how people who bought Final Fantasy Type O, got their hands on a demo for Final Fantasy XV, one would think that the release of the full game would not be so far away. But after patiently waiting for an announcement both during Square Enix press conference, but also during the whole week of E3, we saw no sign of the game at all. So is it time to start worrying on how the production is going on the game? To add on this, Square Enix gladly showed off some in-game from Kingdom hearts 3, which of course was great to finally see, and something which fans of the series have been waiting for very long. But it also makes the progress of Final Fantasy XV even more worrying since they last year clearly stated that the production of Kingdom Hearts 3 was prioritized under Final Fantasy XV, and they wouldn’t show anything from that until Final Fantasy XV was ready to launch. And still, no date on that game. With E3 now over, I´m guessing we will have to wait until Gamescon before any news appear about Final Fantasy XV, and if they don’t give us something there, it may be that Square Enix is working on too much and have left the priority on the game behind. Until anything is official about the game, we have a lot of other Final Fantasy games to look forward to. But be aware and know where you read this first. Previous articleYoutube’s Gaming Channel Just Around the Corner!